It’s been the main headwind for OPEC’s oil output cut deal. Rising shale oil production in the U.S. has been making headlines for almost a year now. 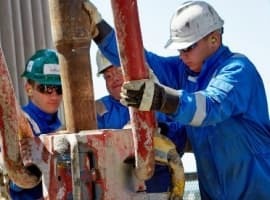 While initially the trend was met with understandable enthusiasm by lenders exposed to the industry, now both banks and analysts are beginning to worry about a repeat of what happened in 2014 and 2015 to shale oil, when unsustainable debt levels sank a lot of companies in the field. CNBC’s Tom DiChristopher reports that the average debt level of 38 U.S. drillers has fallen from more than 8 times EBITDA in the second quarter of last year to about 3 times EBITDA in Q2 2017, which is no doubt great news - but it doesn’t appear to have convinced analysts that the danger of more bankruptcies is behind us. DiChristopher quotes Stifel analysts as cautioning in a note from last week that “U.S. onshore growth is unsustainable in the $40-$45/bbl price environment and that activity would need to be reduced to better balance corporate cash flows and" capital expenditures.” This doesn’t really fit the sub-US$30-per barrel production-cost picture that drillers have been painting in the last months after the OPEC agreement boosted prices for a while and everyone rushed to drill more. Another analyst, Timothy Rezvan from Mizuho, said that some shale drillers may prefer to continue playing chicken with OPEC, as they insist they need to spend more to boost future earnings. But that may not be the wisest game, as they would need a consistent price rally to justify this spending. There is no guarantee of such a rally in the medium term, which is what makes this game so very risky. These warnings are not new. In May this year, S&P Platts analyst Nicole Leonard warned that shale drillers with heavy debt loads won’t be able to survive another price crash. Leonard forecast that prices will rebound to US$60 a barrel as OPEC extends its cut agreement and driving season prompts hefty inventory draws. Both these things did happen, but prices have just now ticked above US$50 a barrel after OPEC announced yet another meeting to try to improve compliance rates, and after Washington indicated further sanctions against Venezuela are becoming increasingly certain. 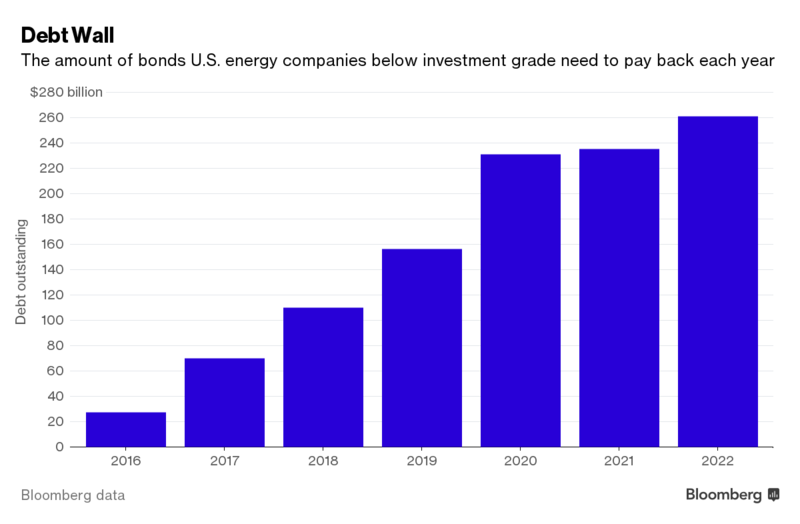 Bloomberg earlier this year warned that oil drillers face US$70 billion in debt payments in 2017 on their sub-investment grade bonds. This load will only become heavier in the coming years, rising to US$110 billion in 2018 and almost US$160 billion in 2019. Oilfield service providers are in the same hole. 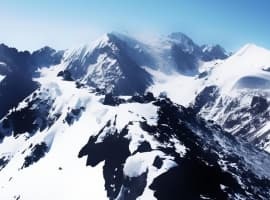 This year, they are facing some US$7 billion in debt repayments, which by 2018 is set to rise to over US$21 billion, according to a Moody’s report from last August. Junk bonds account for 65 percent of this total, the ratings agency added in that report. Amid all these pending repayments, drillers are drilling and service providers are providing services. The latter, at least, are raising their prices, but the former don’t have much space for maneuvering. The success of attempts to lock in earnings from future price rallies is questionable as futures prices remain weak. 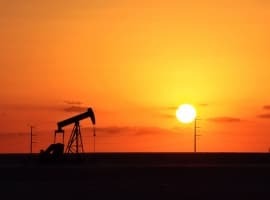 According to Timothy Rezvan, drillers’ claims that they are pulling forward the value of their wells may prove to be unsubstantiated if they are forced to seek additional funding to maintain the rate of production and find out lenders are not as willing to give as they were before. It seems shale drillers have been exaggerating to varying degrees how low their production costs actually are. Prices are rising now, thanks to higher refinery runs, crisis in Venezuela, and OPEC demonstrations that they’ll rein in non-compliant members. But the most important factor for ensuring a sustainable rally seems to be absent: growth in demand.